Welcoming new and returning players for the upcoming 2nd season as the CM REVS!!! Welcome to the home of the Central Mass Revolution! While 2018/19 marks the inaugural season for the Revolution, we are far from new to the area. 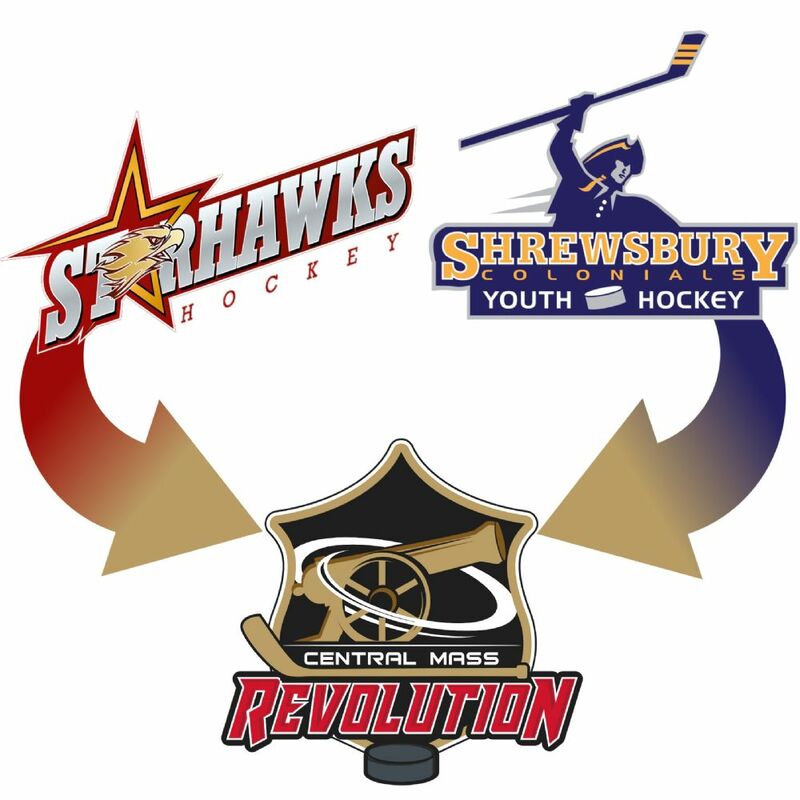 In the Spring of 2018, the Boards of Directors of Shrewsbury Youth Hockey and Starhawks Youth Hockey (Hudson, Milford, Northborough, Upton) entered into an agreement to merge their programs and the Central Mass Revolution was born. Shrewsbury and Starhawks have been supporting and developing youth hockey players in Central Mass for many decades and their commitment to the young players in our area has not changed. From Bruins Academy, House League/Learn to Play, Mites to Fall/Winter Midgets and the growing all girls teams at 10U/12U/14U, Revs Hockey has a team for your player. We’re looking forward to our 2nd season together and thank you for being a part of the Revolution. If you are interested in becoming a volunteer in the CM Revs growing organization, please email christa5duprey@gmail.com. 'REVOLUTION' in youth hockey! GO REVS!!!! !